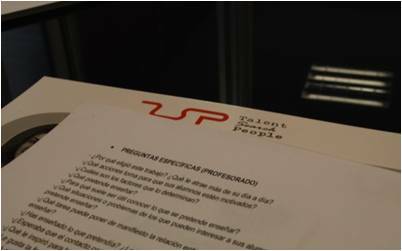 As partof the collaboration agreement recently reached between Talent Search People and the Daukaia association, last week we received the first volunteer for the project in our offices in Madrid. In this session, the collaborator learned the different stages of a selection process adapted to the Nicaraguan context, place where Daukaia volunteers will conduct their work that will consist of recruiting teachers in order to develop an educational project. During the training, emphasis was placed on the type of questions to ask in future interviews as well as how to interact with the candidates. Undoubtedly, it was a very rewarding experience for both sides. If you would like to know more about the project, do not hesitate to read the article that the Daukaia association wrote on our Blog as well as the news bulletin about the agreement. You will find more photos about the event on our Facebook page. Check them out! For future references the news bulletin will keep you informed about the process of these exciting project.